When it comes to dressing for grand occasions, one need only follow the lead of a Lady – and if she is a leading lady, then all the better. 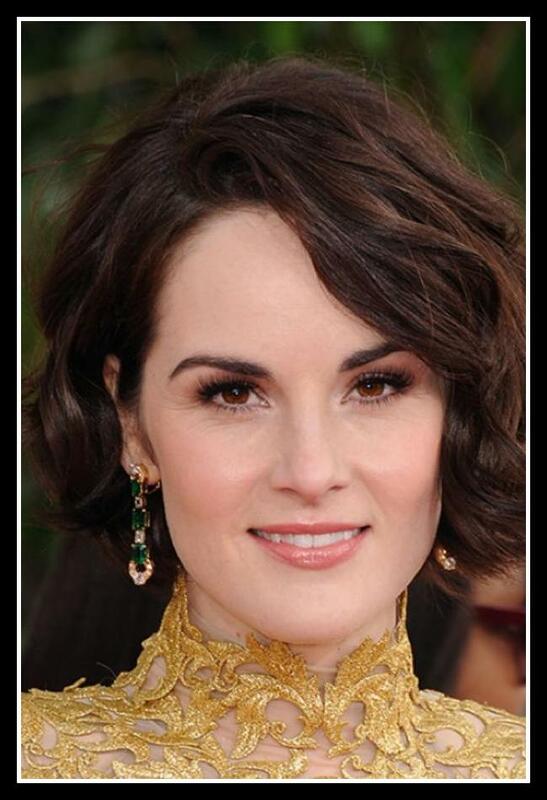 Michelle Dockery was the first to make me gasp out loud at what she was wearing at this year’s Golden Globe Awards, held this past Sunday night. Her Lady Mary Crawley has stunned our style senses for the past few TV seasons and has influenced more than a few fashion seasons, in her own right. I am at the beginning of Season 3 and eagerly await each episode to see which earrings she (read Anna, her Lady’s maid) will choose with which dress, which accoutrements will accent that particular evening. Dressing is such a ritual at Downton, that when Dockery departs there, she, too is expected to excel in the same regard. Well she certainly didn’t disappoint, opting for a gold lace Alexandre Vauthier Couture gown for her first Golden Globes. The fit was divine and her finger-wave bob was the best accessory. She looked understated, yet made quite the statement by not following the skin-is-in crowd. Downright fabulous in Alexandre Vauthier Couture. The padded cap sleeves capped off a great look and the gold lace required little accompaniment. Love this soft bob. The Crawley sisters are turning heads, one at a time with their ’20s hairstyles. She was one of my top two choices for best-dressed. 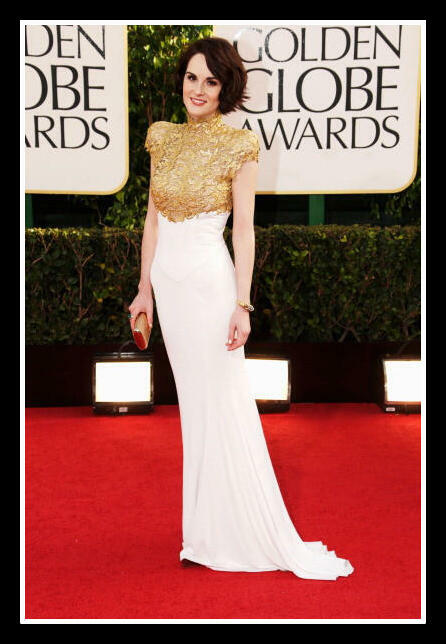 Catch up on all Golden Globes 2013 posts. All photos by Jason Merritt – Getty Images North America.